Shawn Howard earned his undergraduate and law degrees at the University of North Carolina, graduating with honors. He represents North Carolinians throughout the state who have been seriously injured due to another person’s negligence or intentional wrongdoing. He also represents businesses who find themselves in need of litigation counsel. Shawn lives in Raleigh with his wife (Samantha), son (Evan), and daughter (Quinn). $200,000 tender of limits of available Liability and Underinsured (UIM) motorist coverage for Estate of Wake County man who was killed in a single vehicle crash. He was the passenger of drunk driver. Media coverage regarding the case can be found here. $105,000 for Apex boy struck while crossing the street to board his school bus in 2014. More about this public case can be read here. 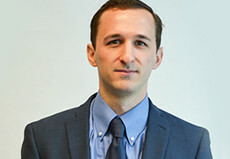 Author and presenter “Automobile Liability Coverage: The Insurance Agreement and Common Exclusions,” North Carolina Advocates for Justice, 2016.